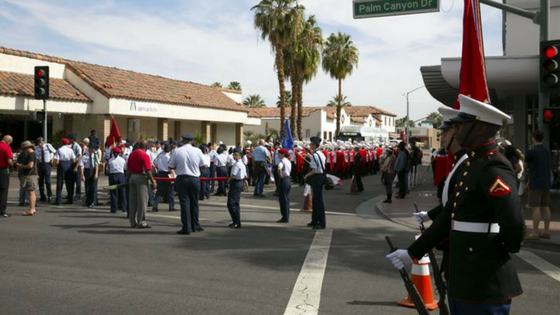 This year’s parade will begin at Alejo and Palm Canyon Drive at 11am, and end at Arenas around noon. This year’s grand marshall is Capitol Records recording artist Alvin Taylor. From there, join us at Frances Stevens Park (Alejo Road between Indian Canyon Dr. and Palm Canyon Dr.) for performances, live music, shows, and specialty booths. Desert AIDS Project will offer free Hepatitis C and HIV testing at the fair until 6pm. It is estimated that approximately 4,000 residents of the Coachella Valley live with chronic Hepatitis C and half of them are unaware. This disease can be cured, and if caught in time, long term health problems from liver damage can be avoided. Desert AIDS Project is offering free testing, as well as linkage to care. If you cannot meet us Saturday, please call for an appointment at Desert AIDS Project Hepatitis Center of Excellence at (760) 276-5097.